Communication is Key During a Crisis. It’s not a question of if your organization will face a crisis – it’s a question of when. Be prepared with our free whitepaper. 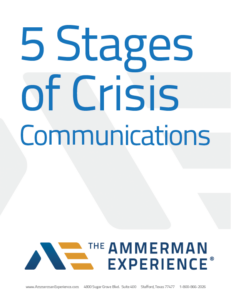 Learn the 5 Stages of Crisis Communications. Fill out the form below to receive our free Crisis Communication eBook.